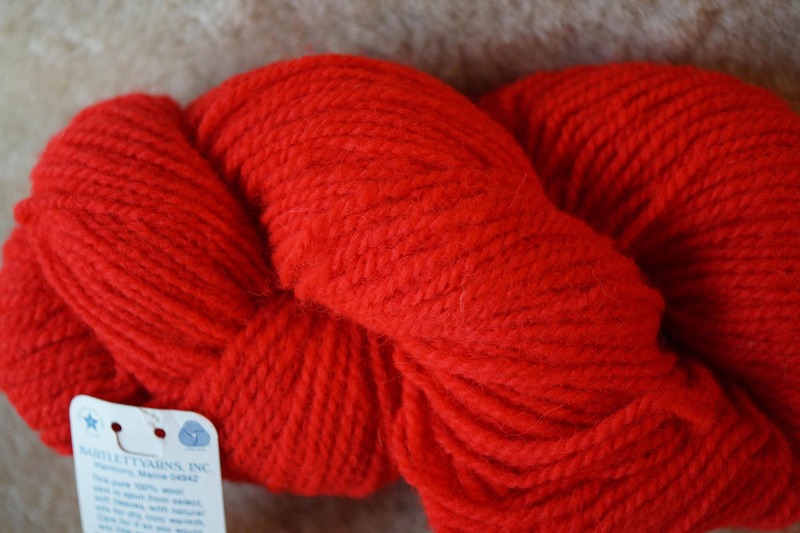 SCARLET 2 ply worsted weight wool "Homespun" yarn from Bartlettyarns. 210 yard skein. Made in Maine. Yarn color is a very bright red. All yarn stored in plastic from time of purchase.